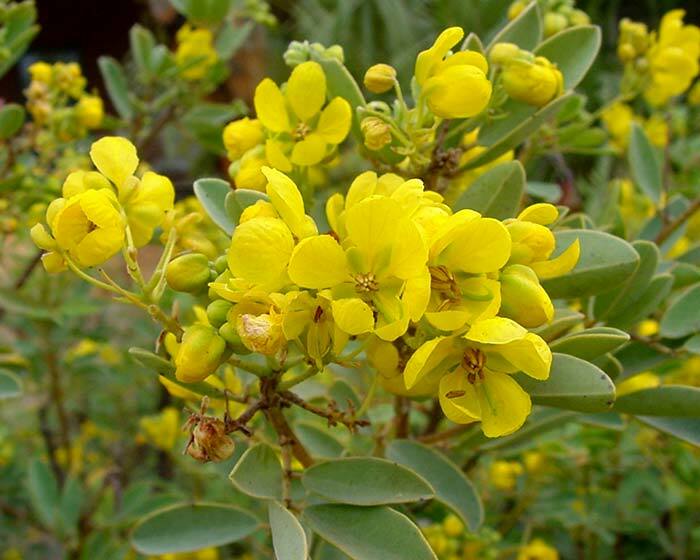 Senna artemisoides is a medium sized shrub with an open habit growing to 2m in height and width. It is known as the Desert Cassia, originating in the dry centre of Australia. As you would expect it does best in full sun, and prefers drier conditions with sandy soil. Once established, it is tolerant of frost, drought and lime.